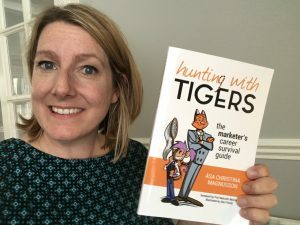 Our CEO, Åsa Magnusson, just released her book Hunting with Tigers – the Marketer’s Career Survival Guide, and we’re very proud to promote it! This is a practical handbook that brings every function of the business to life in the form of animal archetypes. The book is designed to build the reader’s own confidence as well as confidence in marketing as a central function to the business. In Hunting with Tigers, the reader gets to follow the challenges and dilemmas of marketing manager Sally and her B2B marketing team. Each scenario they face highlights how marketing can successfully interface with a key function of the business. Åsa draws inspiration from the human archetypes outlined by Carl Jung, in creating her own playful animal representations of the various business departments. The book’s most central relationship is that of the Marketing Monkey and the Sales Tiger, highlighting the many complexities of this alliance and how to handle them. The book is now available from the Amazon book store and the Kindle Store. Until midnight 18th August 2017, the Kindle book is only £0.99 / $0.99. After moving to the UK from Sweden in 2010, Åsa held a number of senior marketing roles across several established global IT companies before launching her own content marketing agency The IT Content Factory in early 2015. 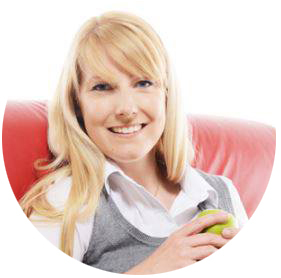 Through her business, Åsa is dedicated to developing strategic direction and high quality marketing assets for technology organisations across the UK.